← Kollaboration Star 2013 Online Voting is Now OPEN! No Brain Concert and Interview! At this year’s Korean Festival in Los Angeles, CA, we were able to catch up with Korean rock group, No Brain, as they performed on the festival’s mainstage! Remember when we went to an indie Korean rock festival called, Seoulsonic? Well, here’s the video to jog your memory…. 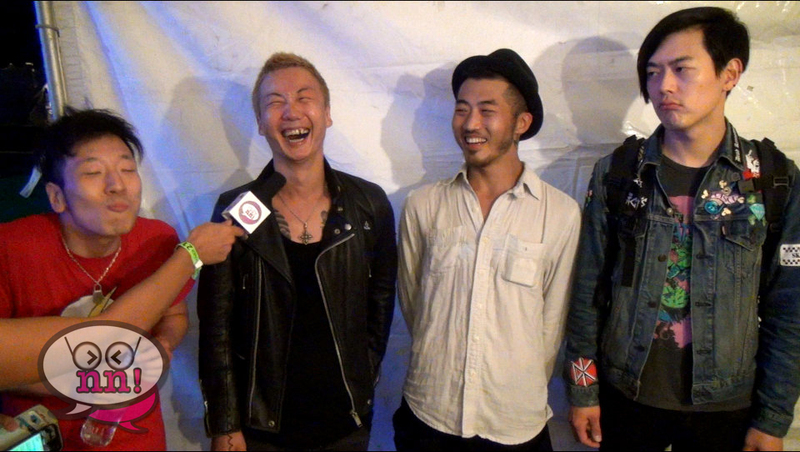 After we met and interviewed the rock groups backstage, No Brain had stood out to us, since their music was fun, upbeat and catchy! The members are also very memorable, and their personalities shine both onstage and off!